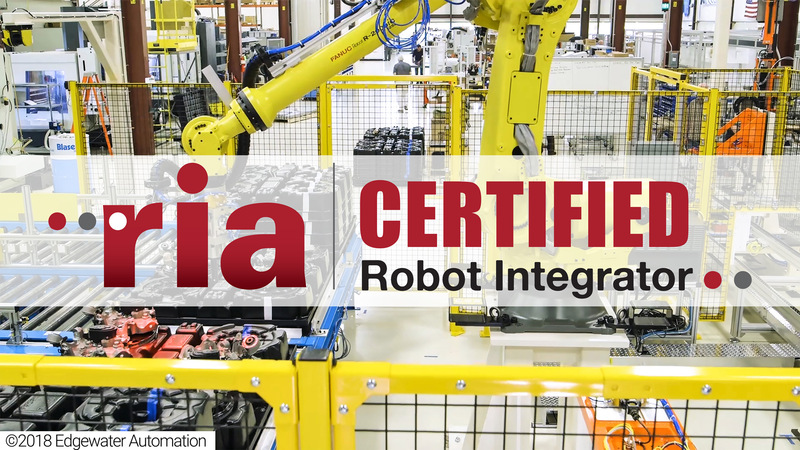 Automate your operations with our in-house capabilities. 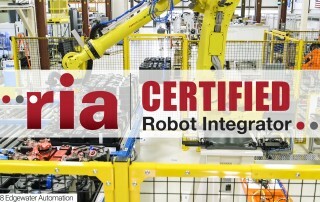 Your automation challenges are within our global scope. 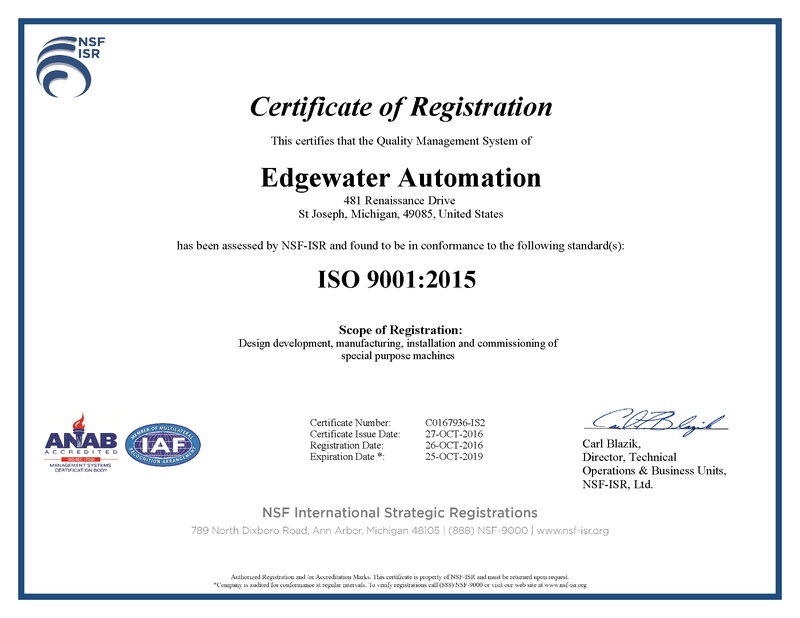 Edgewater Automation is a uniquely experienced designer and builder of custom automation equipment with locations in St. Joseph, Michigan and Spartanburg, South Carolina. Our innovative solutions address the challenges our customers face in today’s dynamic global manufacturing environment. 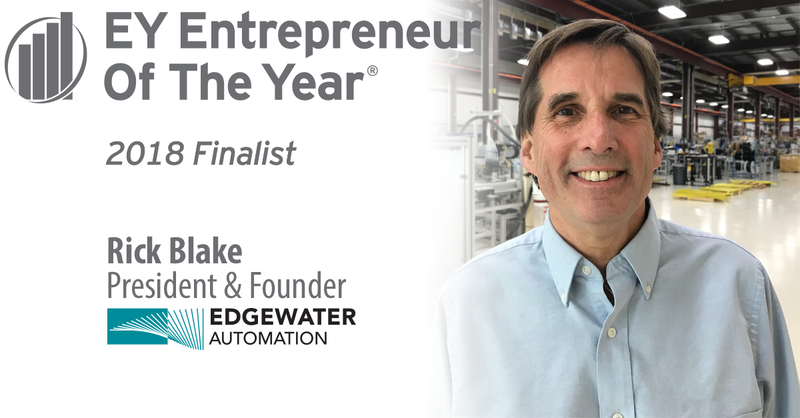 The goal of Edgewater Automation is to provide quality equipment and elegant solutions that will help ensure the success of each customer. Custom solutions for batteries, solar, power production and much more. Custom solutions for medical devices, surgical instruments, pharma, and much more. Custom solutions for engine components, braking systems, fuel systems and much more. Custom solutions for appliances, housewares, glass and much more. Custom solutions for consumer devices, circuit boards, switches/sensors and much more. 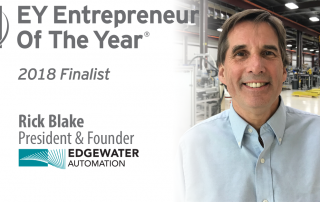 Discover the core competencies that Edgewater Automation has to offer.